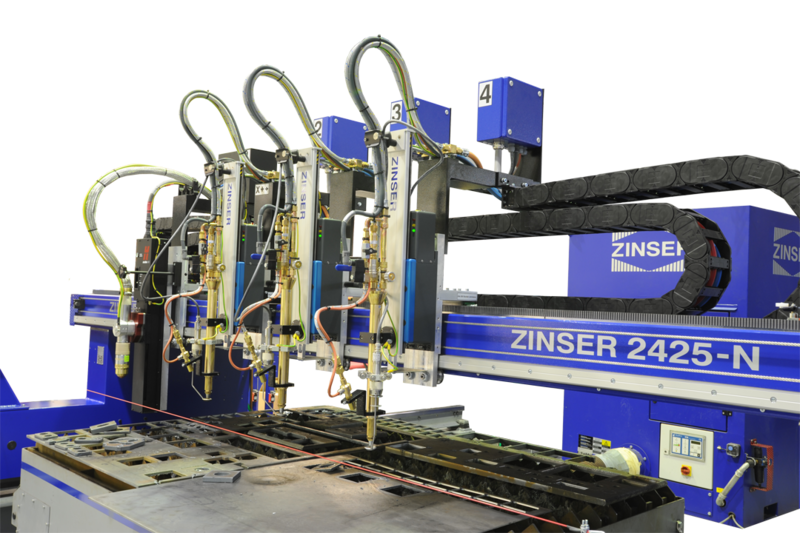 With the development of this new generation of cutting machines, the already high standard of the forerunners could be increased further. 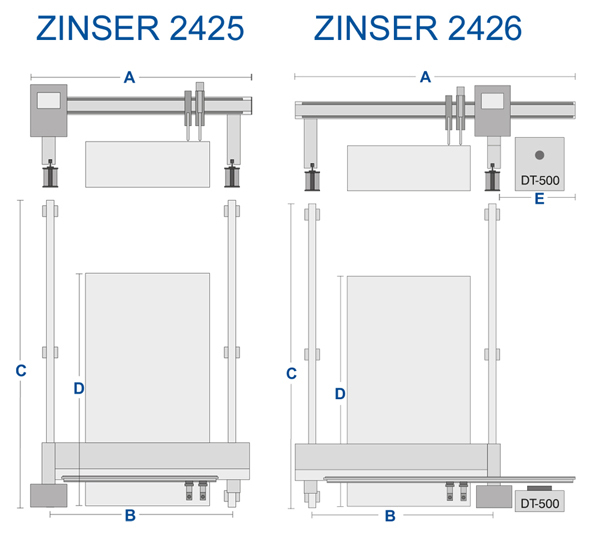 The use of an extended cross-drive significantly increases the rigidity of the ZINSER 2425 / 2426. 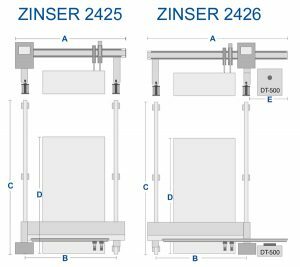 Excellent and powerful digitally controlled AC-drive systems with high precision planetary gears as well as selected racks give the excellent motion characteristics, even at higher speeds and shift in direction. The result of all these features is an outstanding quality of cut. 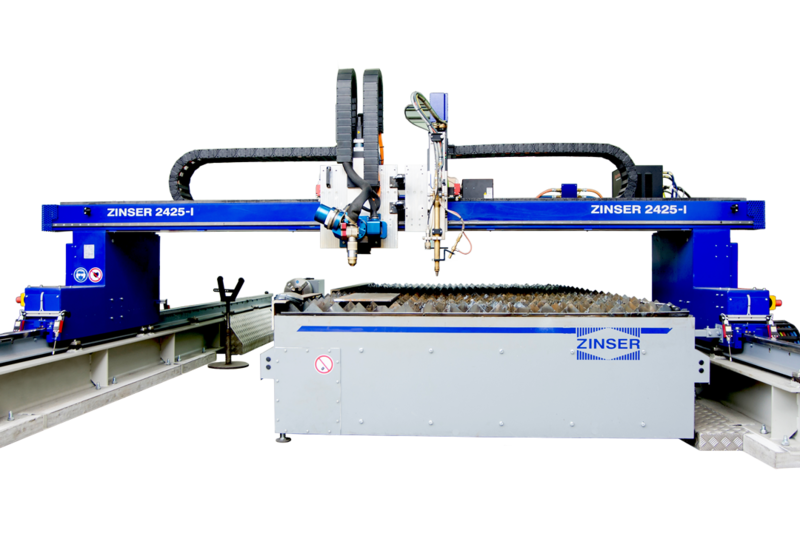 The ZINSER 2425 is available in track widths up to 4100 mm, and up to 4 torch carriers can be combined with the machine. The machine has double-sided drives. 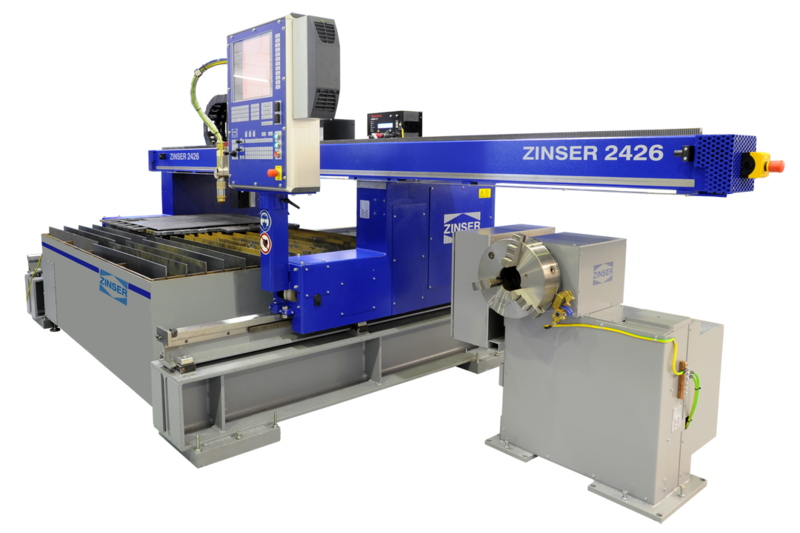 The basic construction of the ZINSER 2426 is identical with the ZINSER 2425, but the ZINSER 2426 comes with a longer gantry bridge and the rotary drive DT-500 for pipe cutting. 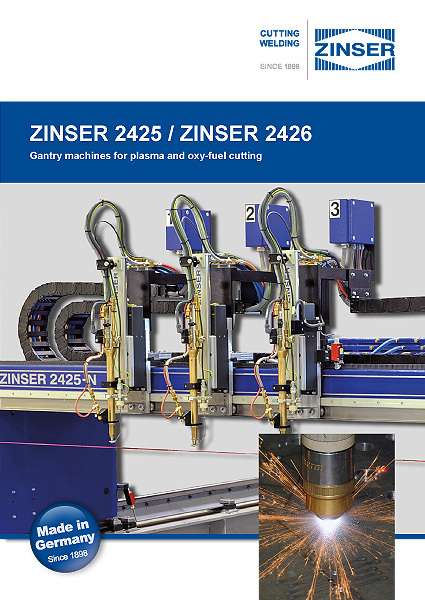 ZINSER GmbH is your strong partner in the areas of flame cutting systems, oxy-fuel technology and hot air devices. Quality and the satisfaction of our customers are our first priorities. Name your task and we will find a solution together!